March 21, 2018 By This post may contain affiliate links. 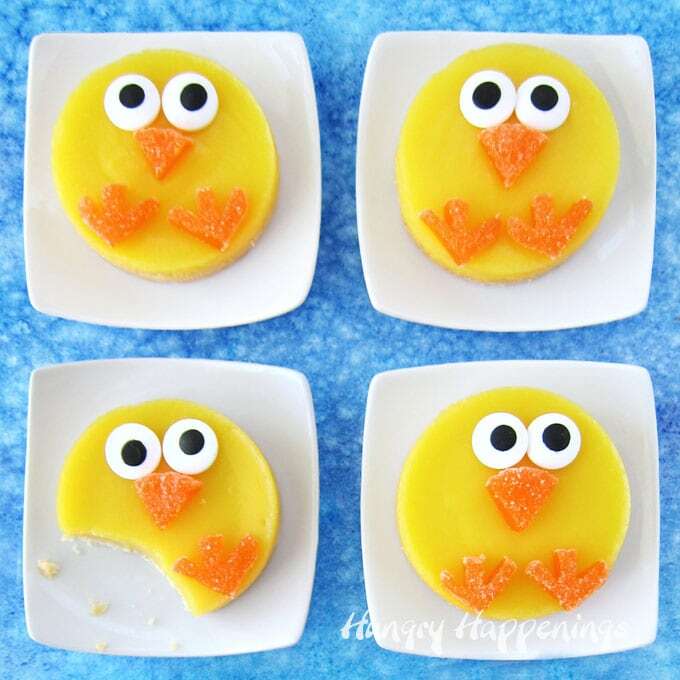 Little round lemon bars are decorated with big candy eyes and orange gumdrop feet and beaks. 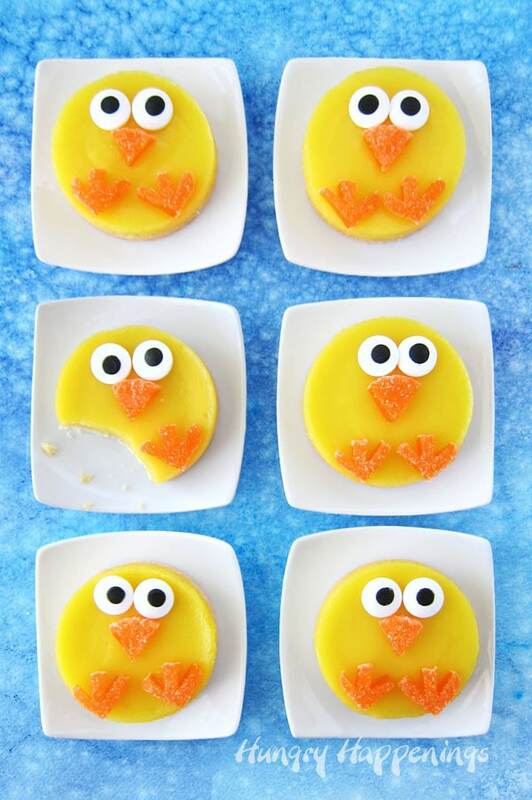 These cute Little Lemon Bar Chicks may make you pucker but are super sweet Easter desserts. Springtime is when baby chicks pop out of their shells and I have fun creating chick shaped desserts. Chicks are so cute and are really easy to create out of just about anything sweet or, in this case, tart. To make these Little Lemon Bar Chicks I baked my lemon bars in round cookie cutters. Once they chilled in the refrigerator for a few hours, I simply pushed them out of the cutters and decorated them. I added jumbo candy eyes and cut a beak and feet out of orange slices (gumdrops). To see the recipe, for this homemade lemon bar chicks, head over to Dixie Crystals. If you love lemon be sure to check out my recipe for Lemon Fudge too. 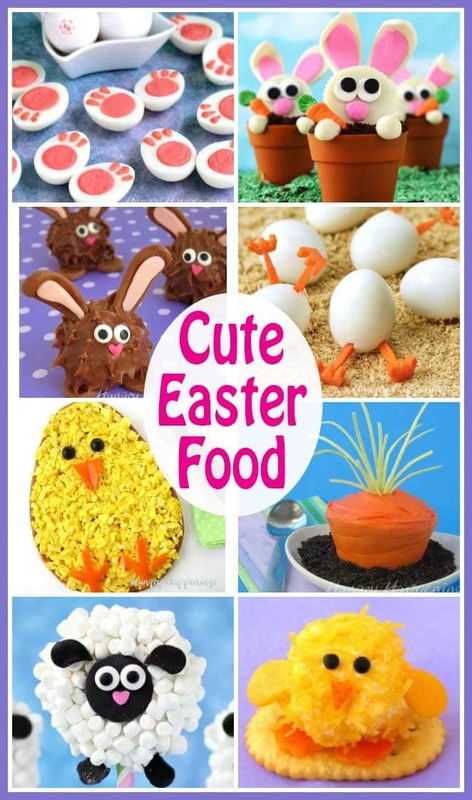 If you want to make some more festive Easter desserts, check out over 75 recipes. Oh so cute, I love lemon! I wish it was me who took that bite! If you love lemon you should definitely give this lemon bar recipe a try. It’s so good!